Nature is calling you to come play in the redwood forest, where the ferns grow below and the redwoods stretch above. In this environment, your body will relax as R.L.T takes you to forest koi ponds, rock gardens, picturesque overlooks, and more. First, you pick which exploration you want to be a part of, then you pick the day and time that works for you and register. Lastly, you relax...and let RLT provide the equipment, knowledge, and entertainment to create a memorable day of play! Not only will you have an adventurous day out exploring, but R.L.T also teaches you the basics of how to be equipped properly for hiking the outdoors, allowing you to be empowered for you next journey out on your own. R.L.T's semi-private tours offer you a hands-on learning experience as you explore and discover a whole new playground! And here's the thing...since YOU all get to pick the activity...the first person registered gets to pick the activity of the day! So if you have a specific journey you'd like to do today, sign up now to secure the adventure of your choice! You'll absolutely be able to register for any day's adventure until it is sold out, so no need to worry about missing out on the fun. Available options will be listed in the calendar as the adventures get booked - so take a look and find what nature adventure you want to do. Then, sign up quick before your day gets taken! No experience necessary, just grab your comfortable walking shoes and Come Play! R.L.T's afternoon hikes will take you through a part of history. 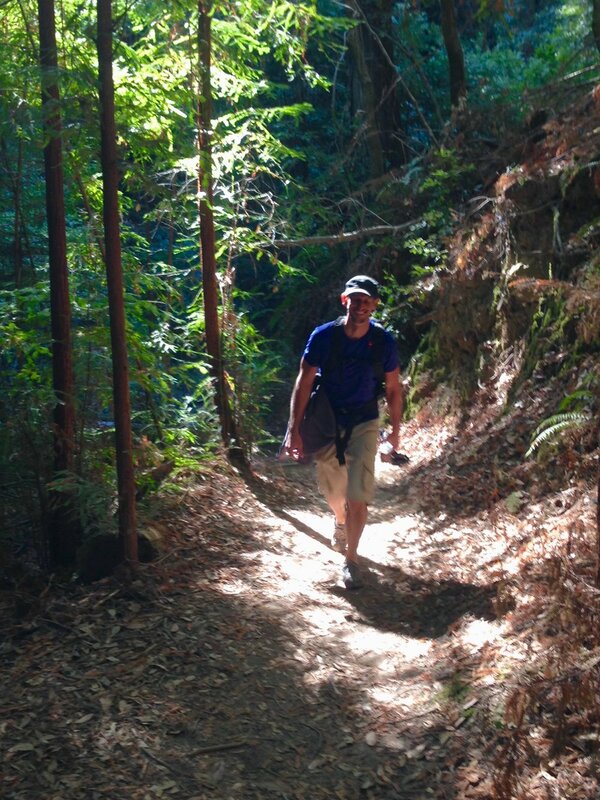 We explore several locations of hiking: Pogonip, Henry Cowell, Wilder, Nisene Marks, and more. These hikes tend to range from 8-12 miles and a few of the discoveries along the way include: hidden koi ponds, unstructured rock gardens, rivers, lime kilns, forest art and more. Check the calendar to see which hikes are being offered each month and-Come Discover! Experience level: Beginner to moderate. Bring comfortable shoes you are able to walk distances in. Looking for a little more adventure in your day? Join R.L.T on a guided 2 and 1/2 hour night hike to one of the best views overlooking Santa Cruz in the area. This night adventure begins with a hike, and ends downtown with a tub and sauna combo to end your evening well. Come Hike!